This post directly continues from the previous post - Part 1. The financial world did unexpectedly well in the last seven years after the GFC! So everything is great now! I should be happy right? Why am I still writing all these melancholy articles? In the last one year or so, I had been acting like a doomsayer sounding alarms. I am not even a financial expert, maybe just having a little edge in the Oil & Gas industry. It is not just me merely by word of mouth, but also the immense motivation from within to spend remarkable huge amount of time and effort devoted in researching and then writing it here on my blog. No specific agenda, nothing material to gain out of it too. Yet, I did it! Even I cannot comprehend where is the strength behind? But strangely, there seems to have a colossal force within me coercing me to sound out what I come to know of. By the way, please look at the above chart showing the unprecedented growth of US total public debt over the years to >19 trillions today. Note the step up in the rate of increase. In any case, total public debt is only the debt owed by the central government. If we add up the combination of government, business, mortgage and consumer debt, total US debt today is >$63 trillion. 40 years ago, it was only $2.2 trillion. Today the global debt is so remarkably huge, that my fear is that if ever this big bubble is to burst one day, it's going to be not just undesirable but painfully scarier and longer lasting than even both Great Depression and GFC combined. Imagine you are sick and need to have one leg amputated to save your life. It is going to be painful in the short term. However, if you are strong mentally, chance of recovery to lead a normal life is high. Instead you choose that the doctor prescribed you with some kind of unproven drugs or steroids to artificially prolong your life. In the short run, you seems to recover and able to lead a normal life. You are happy and cheer the doctor (or Fed) as your savior! Yet, one day some years later, it is only inevitable that the virus in your body is going to became so widespread that they will be entirely immune to the steroids. The steroids intending to cure the initial virus actually also cause severe harm to other parts of your body. The damage is non-repairable and you either die or become forever bedridden. You wish you should just have the courage to amputate your leg since the beginning. It is too late! If this is true, which I pray it is not! Then wouldn’t you prefer that Fed Reserve just let the “too big to fail” companies failed during GFC or will you still prefer Fed to inject the economy with the artificial support! Still want to thank Big Ben for bring us out of recession so quickly in 2008? The longer the artificial support, the worst it gets later! "The longer the turnaround lasts the more people will come to believe in it but in my judgment, the prevailing mood is far removed from reality. This is characteristic of far-from-equilibrium situations when perceptions tend to lag behind reality. To complicate matters, the lag works in both directions. Most people have not yet realized that this crisis is different from previous ones-that we are at the end of an era." Note that Greenspan blamed it mainly on the low productivity growth of the world today rather than explicitly pointing finger at the unrestrained creation of currency. You should know why? LOL! Other financial experts such as Ray Dalio, Robert Schiller, Jim Rogers, Carl Icahn, Bill Gross, Marc Faber, Robert Kiyosaki, Mike Maloney, Peter Schiff and many more are all cautioning about the excessive global currency supply causing potentially BIGGER problems than the GFC in the roads ahead. I am not saying that George Soros and the rest of those aforementioned will definitely be right in their opinions or predictions. However most of them are the vanguard of the industry who possess vast experiences and successful track records in the financial market. It is definitely worthwhile to pay some attention to it. As for Singapore, it is without any doubt we did exceptionally well economically in the last decade. On the other hand, while not discrediting Singaporean's hard work and productivity growth in the last ten years, we should be not over-conceited with our remarkable success attributed entirely based on our capability and effort. A large part of it, are due to both easy global monetary and loosed local immigration policies. This in my opinion cannot be continued in such an explosive and unrestrained manner. If we take a trip down to memory lane, our National growth from year 1965-2000, is based on improving skills, raise productivity, increase knowledge, attract foreign investments, build factories, infrastructure, develop ports and airports, improve education, healthcare, housing etc. How about in the last decade or so? Can you recall specifically what the main impetuses of growth were? Population growth from loose immigration policy! Real estate boom! Banking sectors thriving with some much global liquidity flowing to Singapore, yes… includes 1MDB as well. The inertias of growth are totally different. This is exactly what Ray Dalio mentioned about the different stages of economy. Undoubtedly I admit that Singapore have exceptional strong governance and leadership. Furthermore attracting foreign talents is essential due to our aging population. I am also not asking Singapore to stop growing, stagnate or even go backwards. However everything should be in moderation and within a more reasonable pace for all people also to adapt. The focus on economic growth versus productivity and education should be tilted correctly and carefully. As I see now, Singapore appears to have already learned our lesson in the last ten years of exuberance, because of governmental change of focus in recent times. Apparently our Prime Minister Lee Hsien Loong had since contracted cancer again last year and had since recovered too! Perhaps there is a more divine message within on PM Lee's illness and recovery. 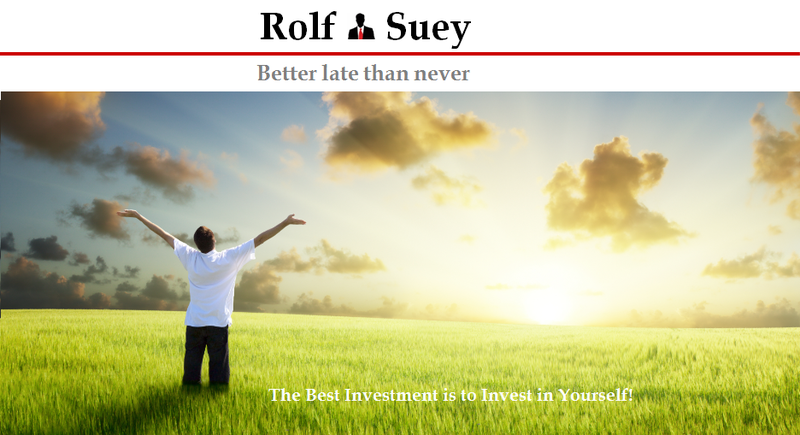 Therefore, in the last decade, if you think that you are very capable and successful, let it be in your business, investments in stocks or real estates or job in Singapore, you ought to think again! For those who never go through either one of the AFC, SARs GFC, it was an even more smooth-sailing ride assisted by the rising tides of the global economy fuel by the cheap credit from a series of Quantity Easing. This is not to mention those whose wealth grew exponentially from excessive leverage. Leverage can be a double-edged sword. During good times, you thrive. During bad times, you dive. I am not asking that we should entirely allay our own success. Maybe it is good to have a tad of gratefulness and humility. By the way, my own career in the Oil and Gas industry had benefited greatly from the economic boom too since 2003/4, which resulted in my own bucket of gold. The GFC though brought back painful memories of colleagues being retrenched. Nonetheless GFC was short-lived so are any of our painful memories of it. The market rebounded fast and re-employment was easy. On the contrary the current oil crisis edging close to a two year period now is expected to be a longer and harsher one. Despite still employed in the industry, I am also experiencing one of the most challenging times ever in my career. I definitely feel indebted to have enjoyed the economic boom in the last decade or so, not just growing my wealth. More importantly, the joy of seeing the growth of my beloved family is something no wealth can exchange for. My personal taste of SARs, GFC and Oil Crisis and other personal crisis within just slight more than 10 years also instill in me a great sense of resilience going forward. Read : Crisis? We should be happy because it is the best time to learn! I also believed I am blessed with the right age to benefit from this experience which will definitely come in handy one day in the future. In any case, I am still very positive about the world of tomorrow. With humility and prudence, I believe those armed with proper financial knowledge and vision of the long term future will stand out and thrive. Above all, you just need patience and the right temperament! Then there is also my new found AAA theory: Anticipate, Adapt, Action! Thank you for reading and stay tuned to Part 3. PS: If you think you have benefitted in any ways (big or small) from my blog or this article, do subscribe to my blog and also help to spread the beliefs. Thank you. Not proselytizing, but just convinced about the truth. The truth is hardest to accept, even flintstones doubted! Follow my heart, and most of the time it is not what most love to hear! Hmm... SMK do not know what u mean leh! U mean character of Flinstone or Barney Rubble? Shorting rubble? i meant Fed's fred app. The motto of the blog is the best one. When we read such articles as the one above, we also become the investors in our own financially independent future. Before our country starts living the Singapore’s economy, we’d better find out about instant loans no credit check now. Perhaps I didn’t understand some of the finance terminology. But I surely enjoyed reading Rolf’s thoughts on the subject. I will be waiting for more revealing Part 3 now. Final thoughts of the post are the most powerful and calling us to start thinking for ourselves.